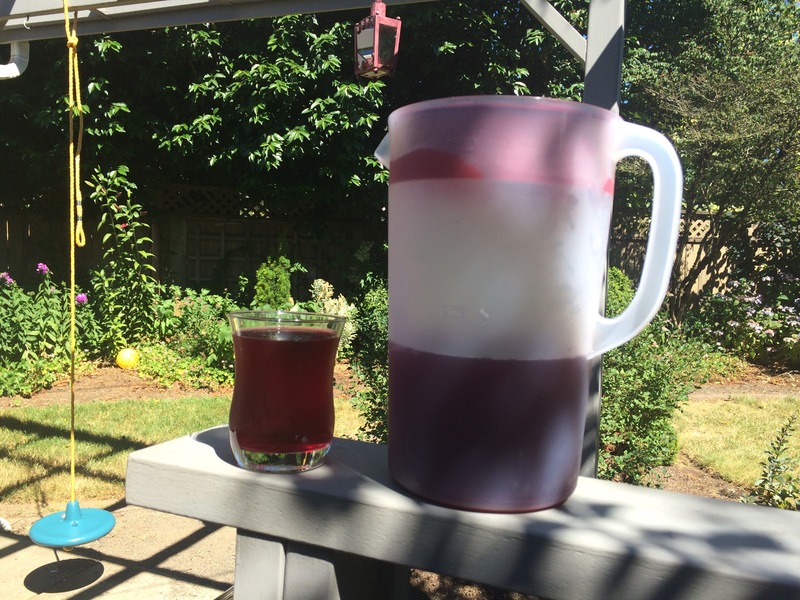 A friend recently asked me how I made this delicious iced hibiscus mint tea, and I rattled off some directions a little too quickly. 🙂 So here’s the actual recipe and instructions, through the magic of WordPress! Put the hibiscus and peppermint into a 4-cup glass measuring cup (or any microwavable container) with 4 cups of water and microwave on high for 6 minutes. Add 4 cups of water to this. Put it all in the microwave. Let it sit for 5m. It’ll look very red. Allow to steep for 5 minutes. 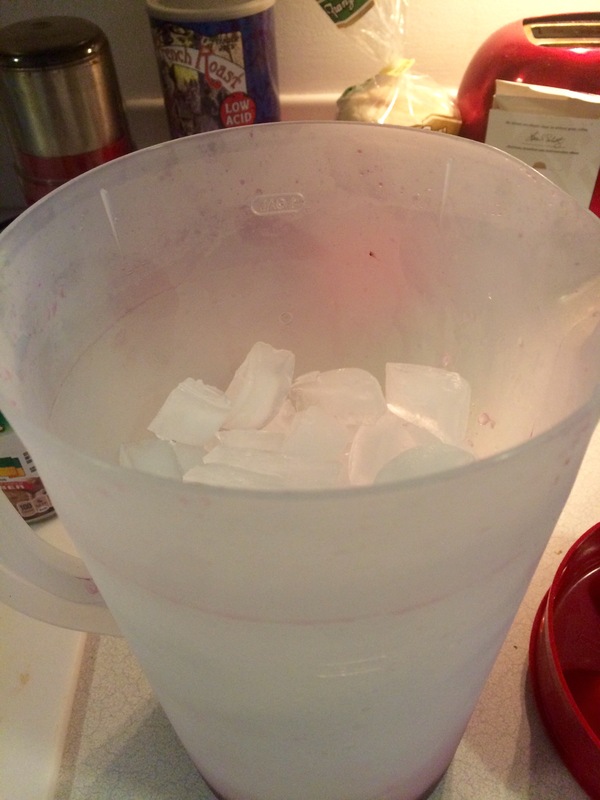 Fill a 2-gallon pitcher about half- to two-thirds-full with ice cubes. Strain the tea concentrate into the pitcher over the ice, using a fine mesh strainer. Discard the herbs. Add another 4 cups of water to the pitcher. 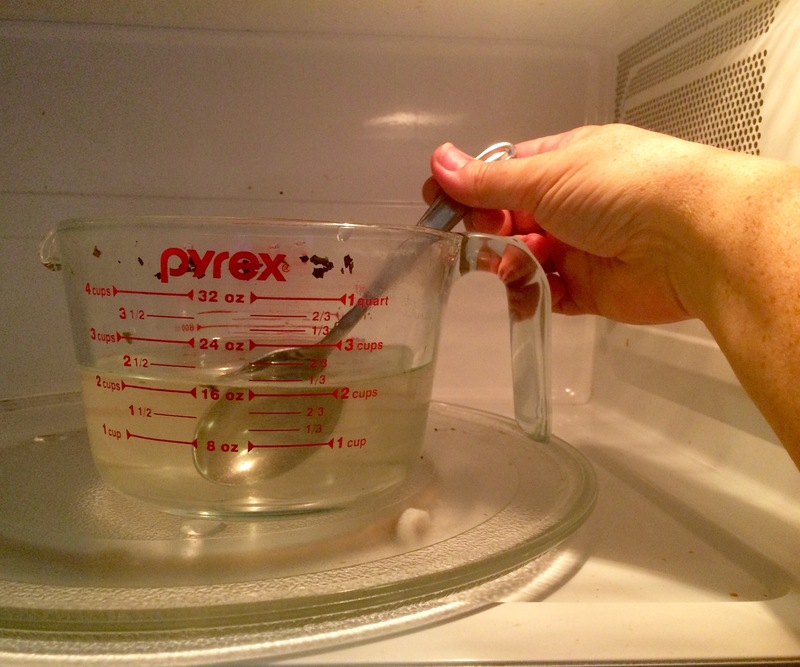 In the same measuring cup, mix 1/2 cup of sugar and 2 cups of water and microwave on high for 3 minutes. Half a cup of sugar for 2 gallons isn’t too bad, right? Stir until the sugar is all dissolved. 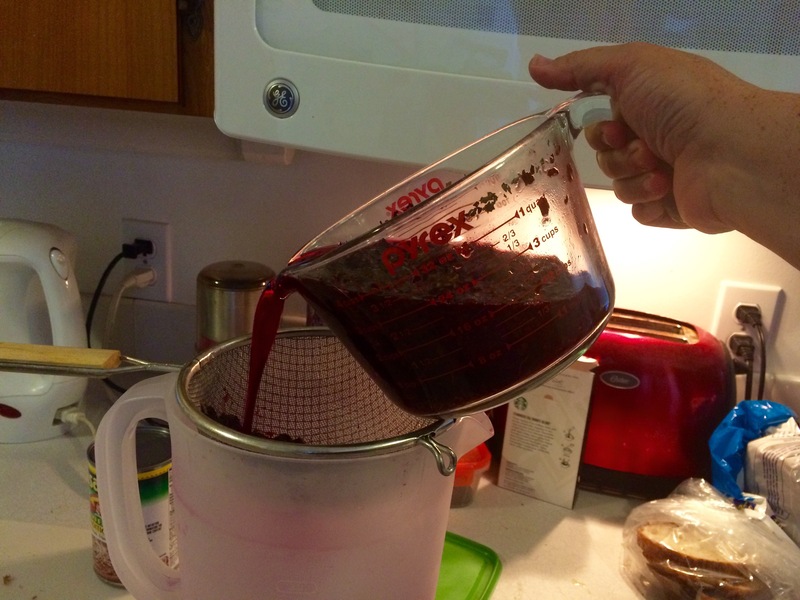 Add the simple syrup to the pitcher and stir. 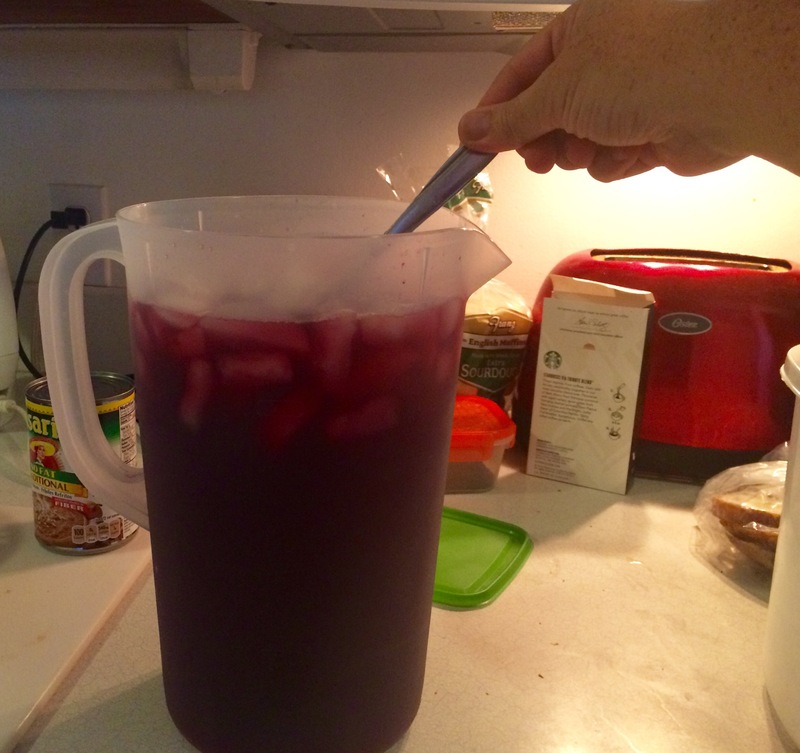 Add cold water until the pitcher is full, if necessary. Enjoy a cool, refreshing glass of iced tea anytime!